In my home there are two things we enjoy: good movies and good snacks! Some of the movies we love most are those that have a little more family friendly action and adventure (superheroes and the like)...and those that offer a little nostalgia for us adults too! The Transformers movies have certainly fit that bill perfectly! Now, I'll admit I don't really remember much about the Transformers from when I was a kid--- perhaps as a result of growing up in a houseful of girls, or perhaps I just missed it age wise... but my husband? Oh yes, he enjoyed it and had fond memories of the cartoon growing up. He has so enjoyed sharing that with our children! 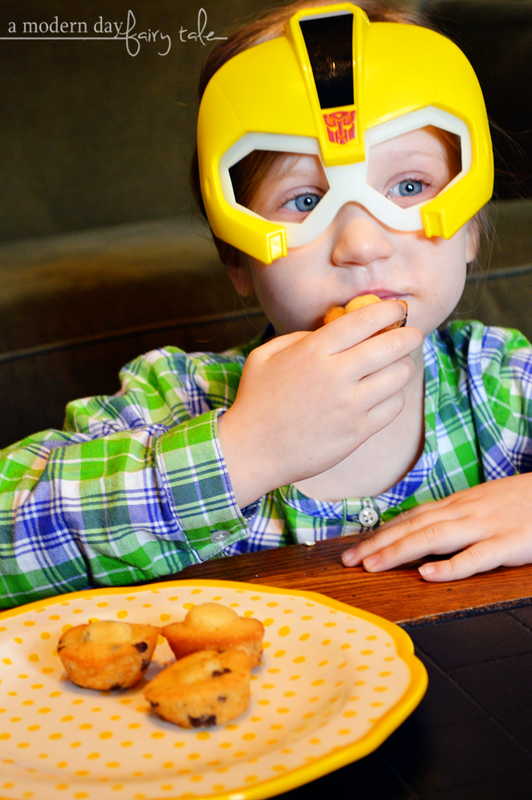 And of course, our absolute favorite character has to be Bumblebee! How could we not fall in love with him? Our family cannot wait to watch the movie... but that brings us back to that other thing we enjoy: snacks! What is a movie without good snacks, right? In our house, nothing can beat Entenmann’s Little Bites! Entenmann’s® Little Bites® muffins are pre-portioned pouches of delicious baked snacks made with real ingredients such as blueberries, strawberries and bananas. As a mom, they are a treat that I can feel better about feeding my children. And to kids? They're just that: a treat! They absolutely cannot get enough! Their favorites are of course the chocolate chip, but I must admit I have a weakness for the crumb cakes too! Yum! And in celebration of the BUMBLEBEE digital, Blu-ray and DVD release on April 2nd, Entenmann’s® is launching a fantastic new offer that I am excited to share with you today! 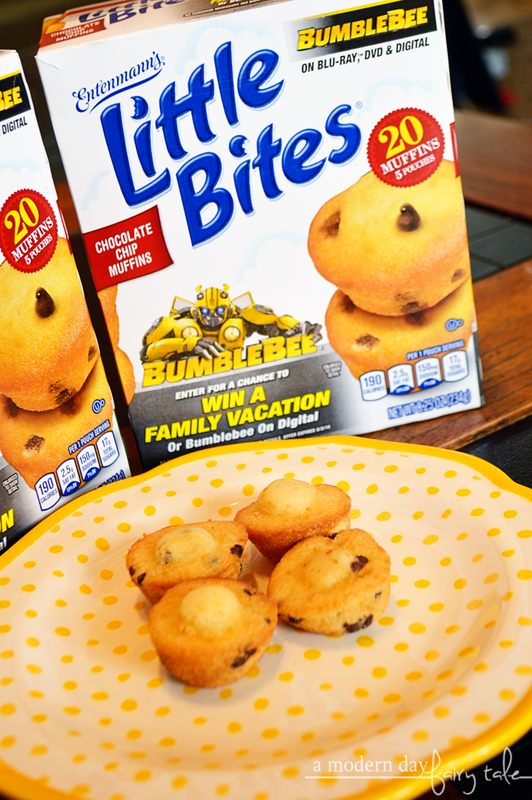 From March 17 through May 3, consumers can visit www.littlebites.com/bumblebee to enter the Little Bites® BUMBLEBEE Visit Myrtle Beach Sweepstakes for a chance to win a trip for 4 to Myrtle Beach or the BUMBLEBEE film on digital! Little Bites have become a staple in our cupboards over the last few years. What better way to celebrate is there than Little Bites Brownie Bites? None, I say. My granddaughters love the Little Bites blueberry muffins. My family love the Little Bites Blueberry muffins. 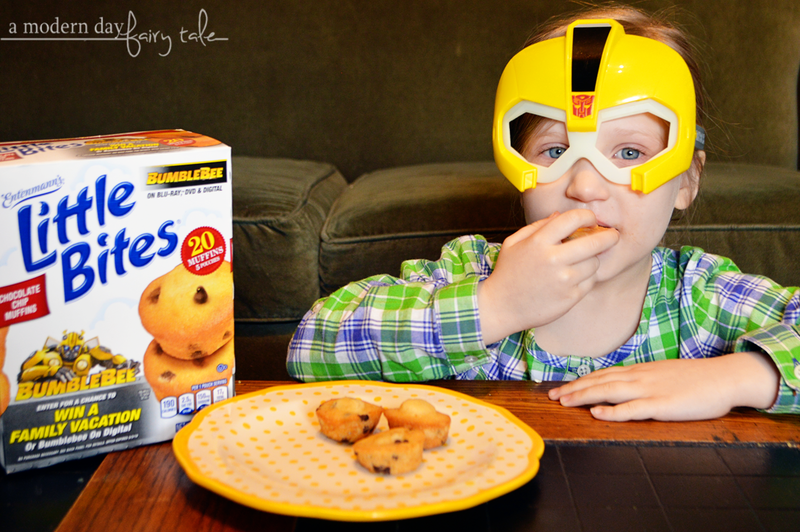 My kids love their Little Bites Fudge Brownies and, of course, Transformers and Bumble Bee too. Little Bites are always a hit in my house. I do like the Pumpkin flavor myself! Little Bites make for the perfect snack! I love the snickerdoodle muffins! Our favorite is the Little Bites chocolate muffins.